Setting homestead goals the first year is vital to maintaining a sense of organization and maybe even your sanity. Homesteading goals will keep you on tract, and allow a design and structure to last. This doesn’t mean that modification or expansions will not happen, it simply means that year two will allow for important things to occur. What is does ‘important’ refer to? The opportunity to successfully grow food and raise meat animals. How can this be achieved? 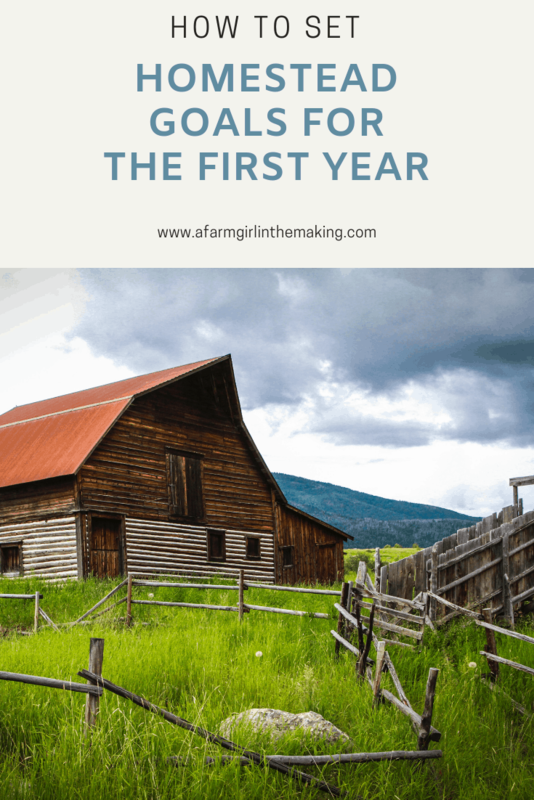 By setting homestead goals for the first year. The rat race is overrated. It’s exhausting and no longer economically able to be achievable for many. Our food source is tainted, filled with pesticides, antibiotics, with most meat product being inhumanely raised, and often foods are recalled. Who needs this grief in their lives? Most certainly, it’s not individuals who are looking to live a simple life and own their food source. You are about to embark into a lifestyle that allows you to become independent from the rat race, poor quality of food, and a hectic schedule. The clean food revolution has begun, welcome to the movement! But before we can get to owing our food source there’s some work that needs to be done; designing and building the homestead. Justin and I aren’t farmers, nor were we always homesteaders. Sustainable living was not in our vocabulary. Livestock, growing food, and preserving it was not a thought which ever crossed our minds. The goal was to get away from the hustle and bustle of living in town and to not see into our neighbor’s backyard. The leap of faith was taken, and the family was moved to a single family home on two acres in the mountains. The property contained a 1,050 square foot home and a large garden shed. That’s it. No gardens, no barns, no coop, no laundry line, and by no means was it a homestead. By trade Justin is a carpenter and I at the time, a housewife. We both yearned to create a sustainable life. The important question was how the heck were we going to get there. Homestead goals were necessary, especially since Justin isn’t a believer in doing things twice. Little did he know, this would not be the case. Poor, sweet man. The life of a homesteader is to construct using as much free and recycled material as possible. This often means some structures may be put on hold until the materials have been obtained. Though waiting is often not an option for many making temporary structures necessary. Does this matter? Absolutely not! There are homestead goals in place allowing for modification to occur throughout the year or following year. Since Justin and I were new to homesteading, with no mentors to guide us, we lived in a world of trial and error. There was a lot of do-overs and failures that first year. With that said, from a once newbie homesteader to another, this life does get easier. The following sections will allow for solid homestead goals to be set to minimize any guessing game the first year. The first year for many homesteaders is one of continual work and planning. With many working off of the property, tasks are often completed on the weekend or after dinner. Welcome to the life of being a modern homesteader! Organization is important when setting goals. I can not stress this enough. A planner will assist with establishing a focus, a quick view in regard to weekly and monthly plans allows for a seamless execution. Not to mention, it will allow you to stay on task. The planner I use is perfect for setting goals and is available in 3 sizes, with room for note taking. Tip: Pace yourself, make sure to plan homestead goals based on the seasons, weather conditions, and family time. But more importantly, learn to forgive yourself. There will be occasions when tasks will not get completed on-time, especially if builds are done based on using free and recycled material. Forgiveness is one key to becoming a great homesteader. Let me preface this section with…our garden sucked the first year. Why? We jumped the gun and did not set up the best homestead goals due to being too eager to grow food. Looking back there are many things which should have been done differently. Graphed dwarf fruit trees are a great idea for those on small acre homesteads. Sun Map – A garden placed in a cleared area will not require the area to be sun mapped. However, if the garden is placed near structures or a tree line it is important to map the area. Keep in mind, most vegetation requires between 6+ hours of sunlight. Prepare the Garden Space – Select the gardening method which fits best to your needs. 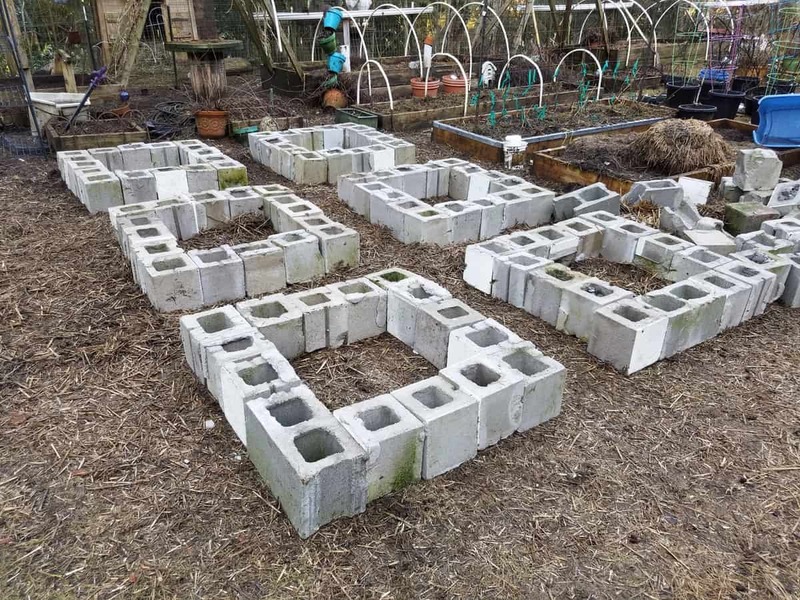 Construct raised beds using free or recycled material, or untreated lumber. Garden using straw bales or the Back to Eden gardening method. 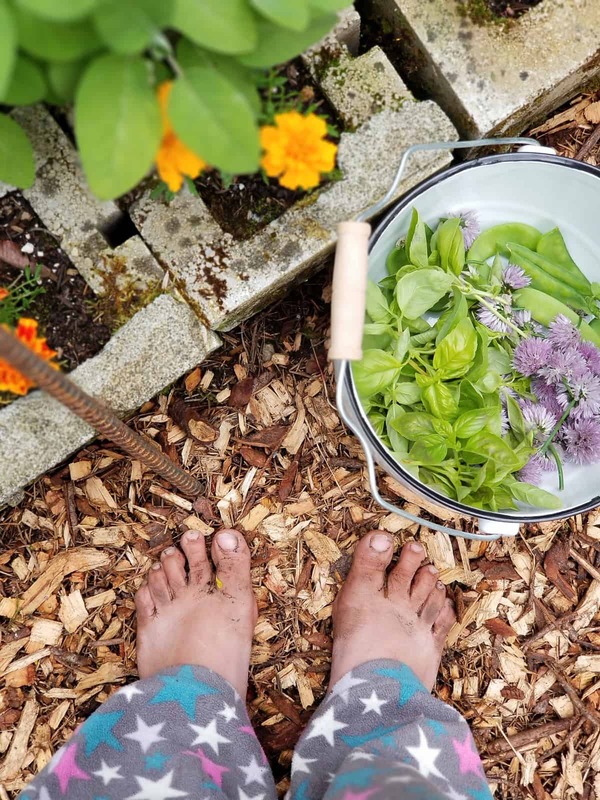 A square foot gardening is excellent for those with limited space, whereas a permaculture garden has less negative impact to the land. Whatever gardening method you chose, maximize your space and grow vertically! Growing Zone – In order to select the best vegetation to grow discover the growing zone for your homestead. Selecting Seeds – Take your pick in selecting seeds which are heirloom, organic, open pollination, non-GMO, local seed companies, seed from a seed swap or seed bank. The choices are limitless! Another tip, use a reputable company and select seeds which grow best in your zone. Prepare for Pests – Fencing is important in order to deter deer, rabbits, and poultry. 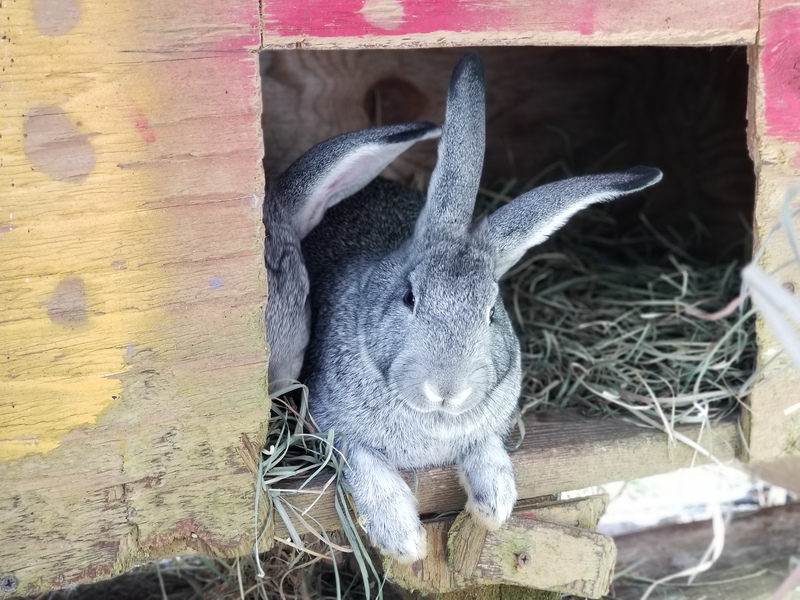 Those with raised beds can add 1/2 inch hardware cloth to the bottom of the beds to keep rodents and rabbits from tunneling into the beds. Compost Location – Create a compost area which is far enough from the house but close enough for easy access. Grab a copy of, The Suburban Micro-Farm. This book is a wealth of knowledge for both urban and rural gardeners. 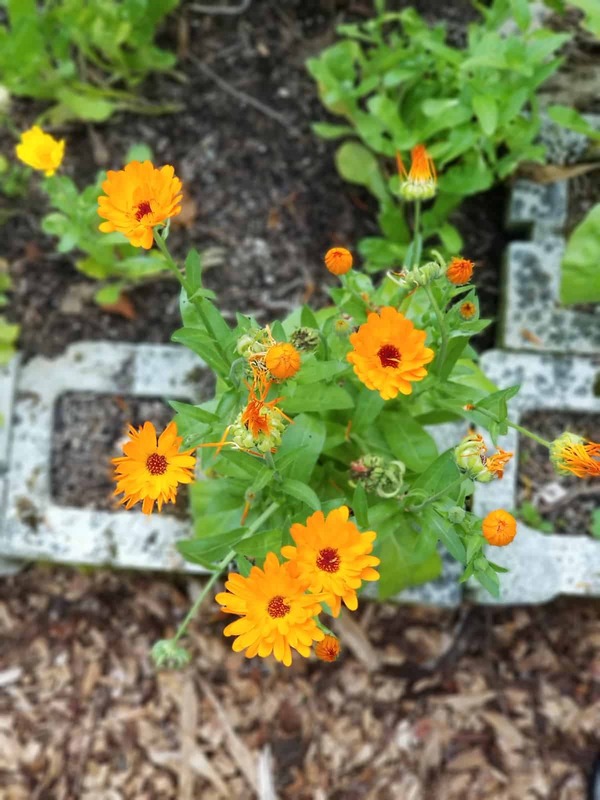 This perennial, Calendula, is not only harvested for medicinal purposes but it also draws pollinators to the garden. Plant Medicinal Herbs & Flowers – Aside from a healthy food source it is important to create a strong apothecary cabinet filled with herbs and flowers that are grown on the homestead. Starting a medicinal herb garden can take time to mature. It’s best to begin this garden as soon as possible. The Homesteader’s Herbal Companion is an excellent book for those looking to incorporate medicinal herbs and how to use them. Grow Perennials – Make the workload in the garden easier. Plant perennials such as asparagus, artichokes, chives, berry plants, horseradish, and rhubarb. Many herbs also fall into this category: mint, lemon balm, rosemary, thyme, sage, and oregano just to name a few. Don’t forget flowering herbs, such as bee balm, echinacea, and chamomile which also draw in pollinators. Start the Orchard – Fruit and nut trees often take many years to mature, make planting them a priority. Small property homesteads do well with dwarf trees or Espalier trees. Also, consider planting grapes along a fence line. Fruit trees need to be fertilized annually, organically fertilizing trees can provide an excellent annual harvest. By far, this can be the most frustrating aspect of homesteading. We come from a society with the “want it now” mentality. Though homestead goals cannot be achieved if structures and fencing are not in place. Because of budget restraints many items being constructed are built utilizing free, recycled, and reclaimed material. Again, this can take time to gather the appropriate material in order to do the job. 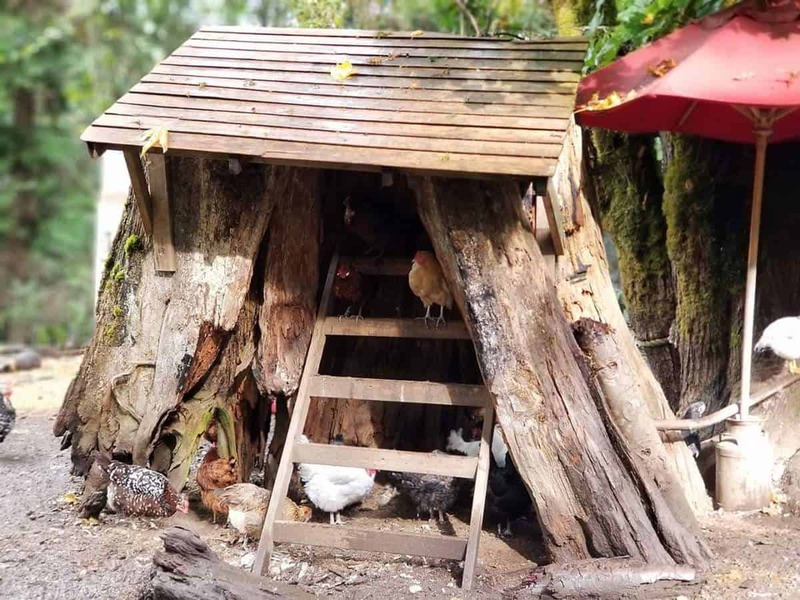 Lovingly known as the Enchanted Stump, a rotted old growth cedar stump was transformed into a shelter for the poultry. For many, the excitement in adding livestock to the homestead often results in bringing animals onto the property prematurely. It is imperative that all livestock have a secure structure for housing prior to their arrival. In addition to livestock structures, those who seek to use wood as a heat source need to consider how it will be stored. Homesteaders who reside in milder climates should consider using poly-tunnels to grow cool weather greens during the winter months. 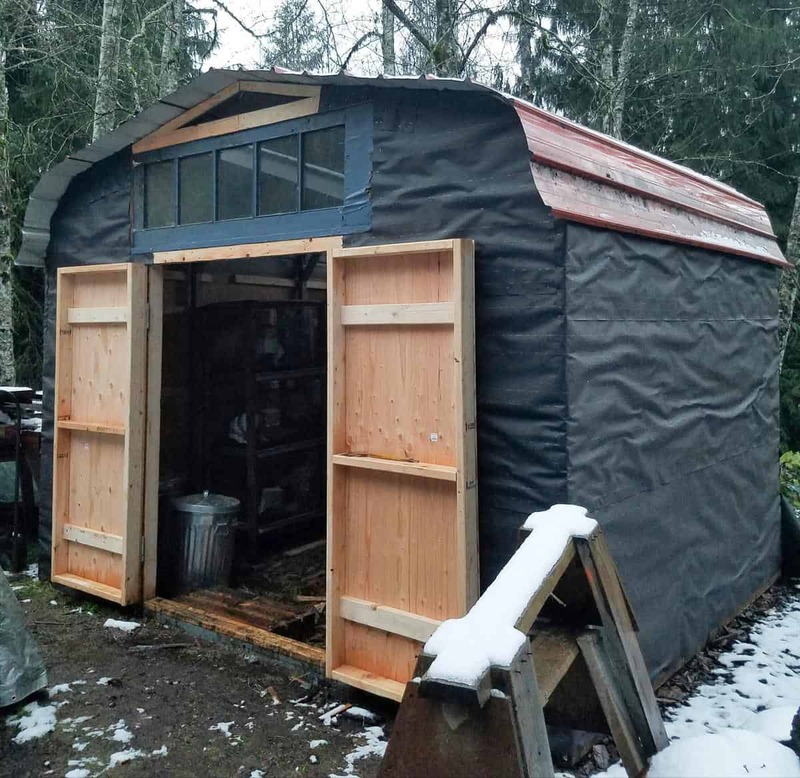 Wood Shed – The holzhausen wood stacking method is used in lieu of a wood shed. The use of tarps should be temporary. Wood stored under tarps often maintain moisture which promotes rot to set in. Equipment Storage – Before bringing a log splitter, riding mower, tractor or backhoe onto the homestead make sure there is a structure available to house them in. Believe it or not, this is often overlooked by many. Coop – This is one structure which a temporary item is okay to have, though not for long. Recycled and reclaimed material can be used until a more permanent structure can be built. A DIY chicken coop is idea and can be made as glamorous as you wish it to be. 50 Do-It-Yourself Chicken Keeping Projects is a great reference for both, first time and seasonal chicken keepers. Greenhouse and Poly-tunnels – Depending on the growing zone many homesteaders are able to grow food year round with a little help. Greenhouse are ideal for starting seeds, but in the winter months cool weather vegetation can be grown within the greenhouse. If a greenhouse is not part of your homestead goals for the first year consider creating poly-tunnels for garden beds. Utility grade polyethylene plastic can be purchased at most hardware locations for this project. Using a 31′ L x 12’H RV carport which was divided into two structures allowed for a rabbit and quail and goat barn. The rabbit and quail barn presiding and prior to adding windows and converting the doors into Dutch doors. No fencing, no livestock. And let me tell you, selecting fencing is not as simple as it seems. Fencing options range between stationary to a movable pasture fencing. Fencing cost and the type of livestock being contained must be consider when it comes to fencing. A tip, take your time and make a good investment when setting homestead goals for this topic. The loss of livestock to predators will cost you more than the price spent on material. Movable Electric Pasture Fencing – This particular type of fencing is ideal for smaller livestock such as poultry, goats, and sheep. Pasture fencing is easy to reassemble each time the livestock is moved. A fence energizer is used to generate electricity to the fence wire or tape; generally run by solar power or a battery power pack. Hardware Cloth – Hardware cloth is used primary for housing structures to prevent predators from entering. This type of material generally covers upper ventilation and window, with 1/2 inch being the best choice. Ideally, this material is used when constructing coops and brooders. 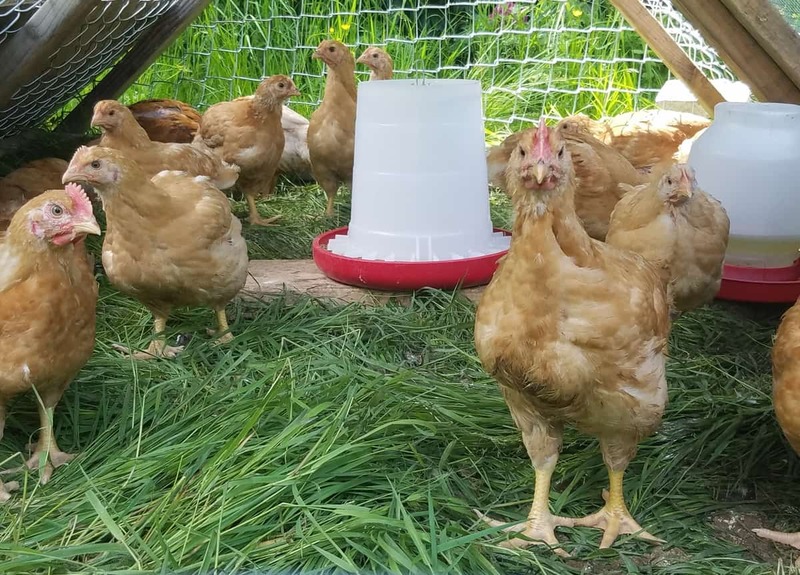 Seasoned homesteaders tend to stay away from using chicken wire due to its flimsy nature and inability to keep predators out. Pasture Paddock – Sheep, cows, and larger grazing livestock are best contained in a pasture paddock. This system can also be constructed as a permanent fenced area which uses multiple paddocks connected with gates to ensure proper rotation. Electric cattle fencing also works to create a paddock and is another option for rotating livestock on acreage. Additional information on fencing for larger livestock can be found on the University of Georgia Extension and PennState Extension sites. Tip: Free or heavily discount fencing material can be found on many farming trade and barter sites. The best advice I can provide would be this, wait until the second year to bring larger, grazing livestock onto the homestead. Prior to jumping in head first, make sure to research, The Good Living Guide to Keeping Sheep and other Fiber Animals is a wealth of knowledge to have on hand. Raise livestock which will thrive on the homestead and allow the homestead to thrive. A 2 acre homestead on the side of a mountain which has not been cleared is not considered ideal for keeping a dairy cow. Instead, consider keeping livestock which is more accommodating for a property, its size, and location. For example, Nigerian Dwarf goats. Not only will these ruminants provide milk, they will also assist in clearing the land. One thing to think about as you are planning homestead goals, is your property able to receive an agriculture tax break by raising larger livestock? Zoning Laws – Prior to purchasing property make sure to research the zoning laws for your state, county, and city. Depending on where you reside, zoning laws can vary city to city regardless as to what the county laws are. Information on zoning laws for livestock can be found by visiting your county’s official website. Our visit to Polyface Farm showed us first hand the various type of fencing and paddocks Joel has incorporated on his farmstead. There is no right or wrong decision when it comes to raising heritage breeds over production or barnyard mixes. 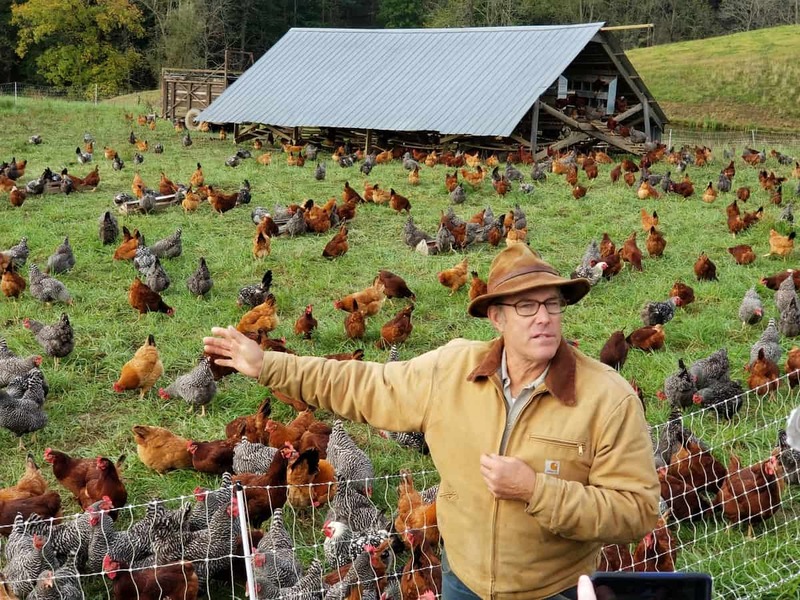 As a matter of fact, when I questioned Joel Salatin of Polyface farm as to his preference for raising heritage breed or a barnyard mixed chicken breed I was surprised by his answer. Barnyard mixes are his preference. And in truth, his reasoning was valid. These birds are often overall healthier than what is purchased from hatcheries, and more able to acclimate to weather conditions in the area. However, homestead goals for our 2 acre property was to raise heritage breeds to restore the breed to its original glory, as well as, to maintain a sustainable meat source. Those who raise heritage breeds do so with hopes to maintain the integrity of the breed. Heritage breeds are often more independent than production breeds; their ability to forage and overall survival instincts are much more in-tune than production livestock. As homesteaders we place value in saving and growing heirloom seeds, why should it be any different when it comes to raising heritage livestock? The Livestock Conservancy is a wealth of knowledge in selecting, raising, and butchering heritage breeds. These breeds are able to reproduce allowing for a sustainable lifestyle in regard to meat production. For example, a Delaware chickens and Blue Slate turkeys produces excellent meat. These breeds are able to reproduce allowing for a continual harvest of meat for years to come. Many heritage breeds are now on the watch or critically endangered, learn of these breeds on the Livestock Conservancy’s website. These breeds have lost their popularity for many reasons, though the main reason is the desire to cross-breed. Cross-breeding provides a different type of meat or a smaller/larger animal that will catering to the need of a modern world. 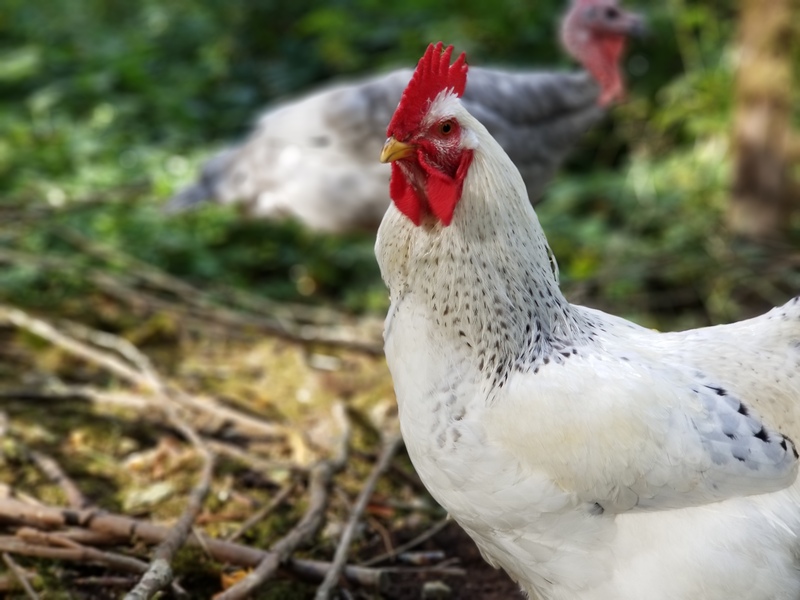 Due to the desire to live sustainably our focus is to raise heritage breeds – Blue Slate turkeys, Welsh Harlequin ducks, Delaware Chickens, American Chinchilla and Harlequin rabbits. Compared to production breeds the meat on heritage livestock is often much different. How do I say this without sounding crazy? It is much more flavorful, as meat should be. If your homestead goals are to put meat in the freezer with minimal amount of grow time, production breeds are for you. Broiler birds (Cornish X and broad breasted turkeys) are what is what is sold in the supermarket. The meat consisting of primarily white meat and often lacks flavor. Prior to being packaged most factories will inject the birds with a brine solution in order to provide ‘flavor’ to the meat. Depending on the variety production poultry breeds tend to grow out quickly, allowing for for an early harvest. Freedom Rangers, broiler chickens, butcher roughly at 14 weeks. Duroc pigs are a cross between many breeds and are known to be a great pig to have on the homestead due to being the least aggressive of pig breeds. The meat is delicious to consume containing amazing marbling of fat throughout the meat. More information which pig breeds are the best for a homestead can be found here. It’s important to know every aspect of your land and the area around it, more importantly, get to know the neighbors. Gleaning and foraging allows for the opportunity to acquire as much free food as possible. Money is better spent on building sound structures, seeds, and farm equipment! To some degree, at some point in your life you’ve foraged. It may have not been intentional, but it was done. Mushrooms, fiddler ferns, wild medicinal plants and berries are just a few options of what may have been foraged. While many items can be found on your land, a lot of it may be found elsewhere; surrounding land or the neighbor’s pasture are great examples. Gleaning is unnerving for many. 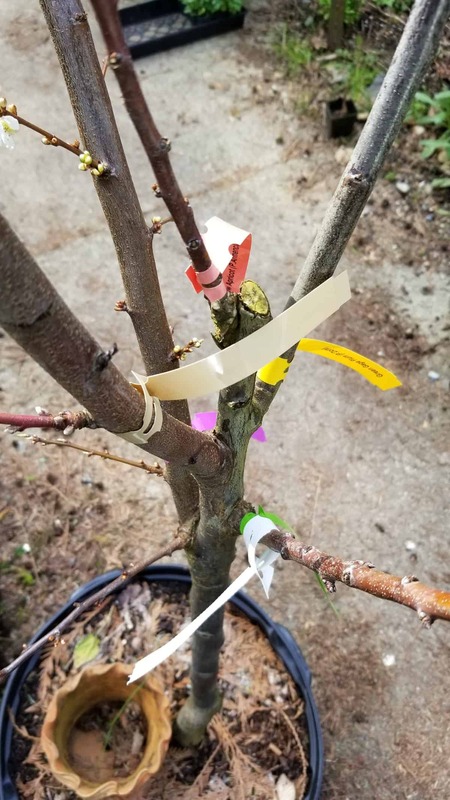 The ability to ask an individual to harvest from fruit trees or their garden (knowing they will not be consuming these items) can be uncomfortable at first. If it is not harvested by human hands the wild life in the area will consume it. For example, a crazy black bear who likes to climb pear trees, destroying its branches. You might as well get to these food items prior to the bears or deer do! Additionally, many towns will plant fruit trees for visual appeal and often do not mind individuals gleaning from them. However, keep in mind, many cities use pesticides throughout the growing season. We are blessed with a plethora of maple trees on our property, all within the appropriate age for tapping. Can you image the amount of maple syrup which can come from them? Yeah, neither can we. You see, this is something we’ve yet to achieve! Soon we will be will be able to check this sustainable living skill off the list. How to tap maple trees is an extremely easy process. The right tools and patience will give you and amazing product to be enjoyed for moths to come! At the end of the day, the goal is to live sustainably and to preserve food, freeing yourselves from the grocery store. Owning your food source. However, this cannot be done without the ability to preserve the harvest. Whether its meat or produce, gleaned, foraged, or homegrown, it needs to be preserved. As modern homesteaders we’ve been able to minimize the amount of appliances and tools needed to complete the job. You should as well. Modern appliances should be interchangeable and used throughout the year, not restricted to preserving. Because of this (and small house living) I’ve learned to simply the necessary items used. For example, 12 home canning tools allow us to preserve the harvest as modern homesteaders. The decision to homestead is to become self reliant, to own your food source. With that decision comes the desire to preserve foods which you have grown and raised, or purchased from local farmers in your area. Trust me when I say, working with small farms is not a shortcoming in living a sustainable life. For this very reason preserving foods during first year of establishing a homesteading (even without a garden) can be done. I spent years gathering information on how to preserve foods through canning, curing, drying, and fermenting. Not to mention, we’ve established a cold storage system to keep raw, fresh foods, and have begun freeze drying much of what is harvested. To simplify how to preserve foods at home, The Farm Girl’s Guide to Preserving the Harvest will get you there. This book was written to guide home food preservers through every phase of preserving the harvest, and written in an easy to comprehend language. Consider it to be the A-Z of home food preservation. Make sure to check back in, setting homesteading goals for the first year is a series which will consist of 4 other articles – Preserving the Harvest, Garden to Table, Raising and Harvesting Meat, and Living Simply. I dream of Year 1. For now I do what I can on our lot in suburbia. When looking for land or homestead, where did you look? Are realty agencies the way to go or is there a better route? Thanks for sharing. I am looking forward to future installments and tucking all this info away for future use. This article is extremely helpful as I am in the process of setting goals for my first year being a suburban homesteader! Thanks for the information!